17.78 cm (7 “) TFT LCD, 800 x 480, 16:9, 180 nits, 25ms, CR 500:1, USB, 4.5W The 0700L touchmonitor can be applied as a second, customer-facing display in retail environments and can also be installed as the main display for applications requiring a small screen. End-cap shelf displays in retail settings or as personal gaming screens as part of a larger interactive gaming table benefit from the features and design of the 0700L. The 7” display utilizes DisplayLink technology that allows for power, video and touch signal through only one USB cable. The unit is available with a choice of the time-tested AccuTouch five-wire resistive touchscreen or a no-touch version.This cost and space-saving display is “designed for touch” the technology is built into the 0700L from the ground up and not added as an afterthought by altering the original display. The 0700L can function as a stand-alone or secondary unit attached to a primary POS display and includes a VESA mounting option for installation flexibility. The optional 3-track magnetic stripe reader (MSR), programmable to either HID or Keyboard Emulation (USB only) or web camera is easily installed by the user, providing an elegant, integrated solution. The display is factory sealed against dirt and dust. 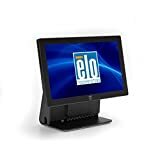 This entry was posted in Desktop Computers and tagged 0700L, Black, Cable, Desktop, E807955, incl., nontouch, solution, Touch, Warranty, Widescreen by Computer Education World. Bookmark the permalink.